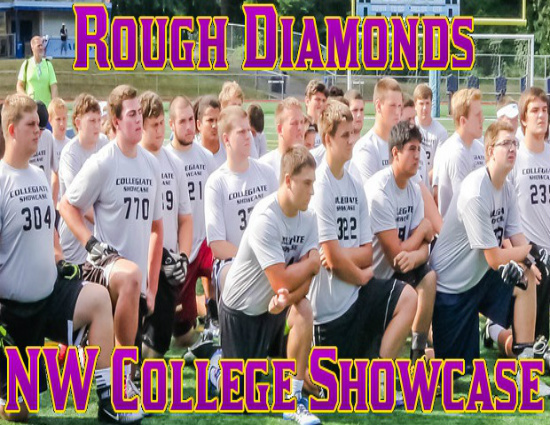 The 5th Annual Rough Diamonds Athletic Foundarion NW College Showcase – RDAF – is set to Go! The Smallest Camp is by far the best one- more reps, all eyes on one group at one time. THIS IS NO CATTLE CALL! On June 30th, 2016 over 20 colleges including 11 of the Big Sky Schools will be in Kent, Washington to coach and recruit the NW Best athletes. This is the best camp and the best opportunity for kids to shine and land offers as these schools have offers to give! 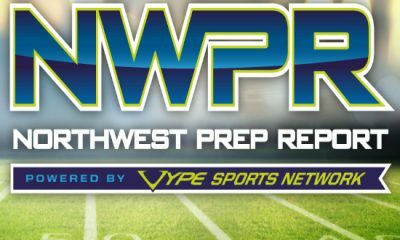 SCOUT, NEI, NWPR, and others will be in the house covering the camp! 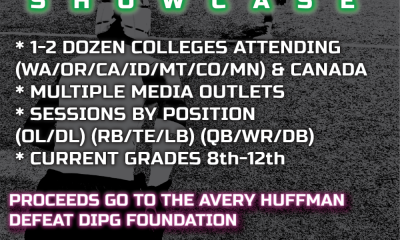 As an added benefit the Camp has arranged for Portland Sports Beat to film the entire Camp, all 3 Sessions, and post this film to be rebroadcast for athletes, recruiters, and coaches from around the Nation to use for additional review and analysis. This will include two camera angles and spot interviews with the best campers looking for a shot. This is Unique and No one else hosting a Camp provided this so RDAF is raising the Bar considerable over any other Camp. It is crucial that the best athletes and those looking to get a shot get signed up for the event – to do so visit their Registration Page. The RDAF Showcase is unlike any other event in the Pacific Northwest. Their three-session format allows all athletes and coaches to stay on one field the entire time. With low number per session, and high amount of reps, the college coaches are able to see every athlete throughout the session. Kaden Jenks (2017) – QB, Royal Knights – The top QB in Washington’s 2017 recruiting class is seeing a consistent rise in his stock during the offseason, and currently holds a Weber State offer. He helped Royal to a 1A state championship last season as a key member both offensively (QB) and defensively (S). He is a three-sport athlete with very good arm strength and great mechanics. Christian Moore (2017) – QB, Bellarmine Prep Lions – Moore is right there with Jenks in the D1 mold. He has prototypical size (6’5″ 212) and is sneaky athletic, but will make most of the plays with his arm. Moore has tremendous arm strength, and has worked very hard to refine his mechanics this offseason. He was offered recently by the University of San Diego. Alex Diegel (2017) – LB, Skyline Spartans – Alex is arguably the state’s top LB without a D1 offer. He has the size (6’2″ 210), speed and athleticism to make the every play asked of a LB. He works hard on and off the field, sporting a 3.46 GPA. Diegel was hampered by injury last season, but showed very well at camps so far this offseason, and looks fully healed. Amir Matheney (2017) – DT, Olympia Bears – Matheney is one of the state’s top interior DL regardless of class. He was recently offered by Eastern Washington, and has multiple other Big Sky schools in his sights. The six-foot-two, 300 pound, Matheney has a good first step and tremendous power that gives him a very tough inside presence. Joe Nelson (2017) – WR, Issaquah Eagles – Nelson was recently offered by Air Force, but is still one of the state’s most underrated receivers. He has good size (6’3″ 180) and is a tremendous all-around athlete. Nelson is also a very good track and field athlete, including league titles in the high jump and triple jump. Nelson is technically sound, and has a knack for making big plays. Trey Gevers (2017) – WR, Issaquah Eagles – Gevers missed most of last season with an injury, so he is completely under the radar right now. He is athletic, has good size (6’3″ 180) and is a very good student (3.6 GPA). I’ve seen him twice in the last few weeks and come away impressed both times. Armani Marsh (2017) – DB, Gonzaga Prep Bullpups – Marsh was recently offered by the University of San Diego, and has made the rounds to many schools around the west coast. He has good speed, fluid hips and is very good in man-to-man coverage. Marsh is sound tackler that isn’t afraid to mix it up. Jacob Miller (2017) – C/G, South Kitsap Wolves – Miller played a few different positions along the line for the Wolves, but projects highest inside, most likely at Center. He plays with a tough mentality and usually finishes through the whistle. Miller does a nice job at the point of attack, in open space and does a nice job getting to the second level. He also sports a 4.0 GPA. Nicholas Yet (2017) – RB/DB, Bellevue Wolverines – Yet probably projects highest to the defensive side of the ball, but he is further along as a RB. He runs hard and plays will an all-around tough mentality. He could be seen as a RB, LB or S, and excel in any of the three spots. Peter Davis (2017) – TE/DL, Bothell Cougars – I noticed Davis last year during a game against Newport and like him instantly. He has a bit of a mean streak to him that I like to see in all football players. Davis has nice size (6’3″ 230) and is very capable on either side of the ball. He reminds me a lot of Dylan Murphy (Newport) who signed with Central Washington a few months back. Jesse Sims (2017) – DT/G, Bothell Cougars – Sims is a tad undersized, but plays with a real tough mentality and shows good athleticism. I think he projects highest as a DT, but is very capable of playing on the interior of the OL. His style of play and size reminds me of Cameron Hill from Skyline, who is now at Simon Fraser University, but he brings more athleticism. Connor Johnson (2017) – QB, Archbishop Murphy Wildcats – Johnson is one of the more underrated QB’s in the state for 2017. He is a proven leader that plays with confidence and really commands the offense. He received an invite to the Northwest 9, and will lead the state’s top ranked 2A team this coming season. Chase Chandler (2018) – LB, Bellarmine Prep Lions – Chandler is one of Washington’s top LB’s for his class. he has good size (6’2″ 215) and plays with great instincts and speed. Chandler comes from an athletic family, grandfather and father played at Washington while his brother is currently at Stanford, and Chase looks like he will continue the family. Madden Tobeck (2018) – RB/DB, Cascade Christian Cougars – Madden reminds me a lot of former Cascade Christian RB/DB Robert Terhune, who is now at Jacksonville University. 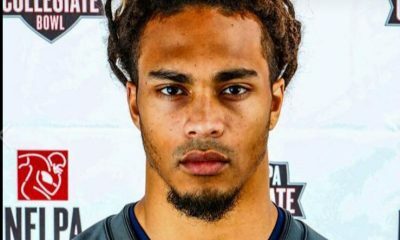 He is highly skilled on both sides of the ball, and should he hit a growth spurt like his older brother Mason (Utah State), he could be signing at a D1 home. Eric Buie (2018) – OL, Roosevelt Roughriders – Buie plays fast, hard and through the whistle on every play. He makes a transfer from Lakeside this year, and his run blocking abilities will be used well in the run-heavy Roosevelt offense. Buie is a hard worker and plays much bigger than his 6-foot-2, 240 pound, frame. Nash Fouch (2018) – WR/S, Woodinville Falcons – Fouch has good size (6’3″ 180) and is a tremendous all-around athlete. He has great ball skills and has a high football IQ. Fouch is seeing interest from many D1 schools, including many FBS schools, and is the type of player that could walk away with an offer from the RDAF Showcase. Keegan Stich (2018) – RB, Snohomish Panthers – Stich is one of Washington’s better backs in the 2018 class. He has good speed, great vision and is a hard worker. Stich averaged nearly five yards per carry last season, and finished with 14 touchdowns. He is also very capable as a receiving target, catching 32 balls for 439 yards. Justin Seiber (2018) – QB, Kentwood Conquerors – Seiber is an unknown to many, as he was behind a senior starter last season, but it looks like he will take over full time this fall. 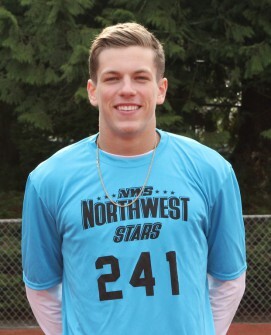 He received an invite to the Northwest 9 after a tremendous session at Selection Saturday. Seiber has good arm strength, accuracy and works really hard to improve his all-around game. Bailey Elder (2019) – OL, Stadium Tigers – Elder started as a freshman last year for the Tigers and was an All-League member. He projects best at the next level as a Guard, and already has the size (6’5″ 285) needed to play there. Elder has a tough brand to his game and does a good job getting to the next level. We’ve seen him at these events in the past, so this should be a walk in the park. Joe Green (2019) – QB, Skyline Spartans – The 2019 class of QB’s in Washington is very good, and Green is one of the best. He makes the move from King’s HS in Shoreline to the Plateau, and while it is a big jump in competition, Green appears to be very capable of a smooth transition. He received a Northwest 9 invite following a great Selection Saturday showing. Carson Caten – Florence Carlton High – Montana Boy with some BIG TIME TALENT – 6’4″- 230 lbs TE/DE – Best athlete in Montana? Willie Patterson – Franklin Pierce – A two way threat with Terrific skills who is being recruited on both sides of the ball. Jarred Daul and Joel Daul – Jesuit High School – This Dynamic Duo from Jesuit will create Havoc on the D-line for anyone and are big fast recruitable kids! Sam Mueller – Jesuit HS QB- This up and comer needs to make a name for himself and this is the place he will showcase his skill! Pito Satele – Inglemoor HS – Washington – A tough interior linemen who strikes a mean punch and likes to finish his blocks! Cameron Renaud – KAHUKU HS- Hawaii– This tough QB / S helped the Red Raiders to a 15-0 Season and the Hawaii State title – We are excited to see him compete all the way from the Easy shore of Oahu and one of the greatest Football High Schools of all time! Jakai Cavness – Lakes HS – What a great athlete with a lot to offer. One of several athletes at Lakes! What would camp be without the Lancers in the house? 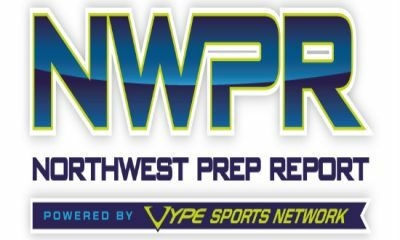 Alex Yockey – Newport (WA) – This is a terrific 2 way athlete who can play LB, DL, or OL. He will be an impact player at the next Level! Bryce Bramscher– St Marys (OR) – 6’4″- 195 lb. fast mover we love! Schools at all levels will want to watch this kid who has a big wingspan and a wide range of skills! The list has crossed over 120 and a total of 250 athletes are expected to get to camp. This is known as the #LASTBESTCAMP because those of us that understand who actual makes offers and which schools have offers to give get the fact that this camp creates more actual results then those that brag the attendance of Pac 12 schools who attend camps but rarely make offers or have offers to give! NWPR will be there and we hope to see you at camp!